Performs professional social work services in connection with the treatment of clients in need of mental health services. Positions allocable to this class are assigned to psychiatric hospital wards, outpatient mental health clinics, and specialized mental health treatment programs. Under the close supervision of a higher level psychiatric social worker position, a supervisory mental health position, or a psychiatrist, positions in this class perform psychotherapy and clinical case management with clients, families, and significant othersto help resolve or find solutions to mental health related problems. Incumbents of these positions receive technical guidance and consultation to increase their skills in developing culturally and age appropriate psychosocial and emotional assessments, in formulating differential diagnoses and effective treatment plans, in applying the appropriate psychotherapeutic methods, andin implementing Client Care Coordination Plans (CCCP)to provide appropriate intervention for a wide range of mental health related problems. Duties and responsibilities require the application of professional skills and knowledge pertaining to the principles, practices, and theory of psychiatric social work. The Psychiatric Social Worker I is distinguished from Psychiatric Social Worker II in that the latter performs at the full professional level and may provide technical direction and guidance to the Psychiatric Social Worker I. Interviews individuals, their families and/or significant othersto obtain a family, social, employment, medical, substance abuse, and mental health treatment history. Assessesclient's functioning in his/her environmental setting. Develops a tentative CCCP designed to resolve or cope with the mental or emotional problem, which may include individual, group, family or marital counseling, case management, and/or referral to another treatment source such as a psychiatrist, a psychologist, a vocational or rehabilitation counselor, or another agency. Plans and conducts the client's therapy program under the guidance of supervisory staff byconsidering the client's treatment goal and by determining the priorities of the programs to be dealt with and the length and modality of therapy. Provides case management services to secure resources for clients, families, and significant others in order to achieve treatment goals. Serves as a member of a mental health emergency intervention team and/or joint law enforcement/mental health emergency intervention team by evaluating the behavior of persons to determine if they are, as a result of a mental disorder, dangerous to themselves, others, or gravely disabled. Requests LPS-authorized persons to complete an application for immediate 72-hour detention at a hospital facility. Interviews persons seeking psychiatric assistance on an emergency basis and utilizes crisis intervention techniques to prevent hospitalization and to aid the person in dealing with the emotional crisis. Assists clients, families, and significant others by discussing their reactions and attitudes concerning mental health problems and co-occurring substance abuse disorders; explains need for treatment; and encourages all concerned parties to work together cooperatively to resolve the problem and minimize the stresses that impact social functioning. Works with families and significant others toward gaining their acceptance of and participation in treatment recommendations. Participates in multi-disciplinary team conferences to discuss and evaluate the nature of theclient's problem, to evaluate theclient's progress, and to developa CCCP. May participate in research to increase knowledge of mental health problems and to improve therapeutic treatment methods. A Master's degree* from an accredited** School of Social Work, including supervised field work experience in psychiatric social work and either a Los Angeles County Department of Mental Health (DMH) Stipend or a CalSWEC Mental Health Program Stipend***. A valid and active Associate Clinical Social Worker registration issued by the California Department of Consumer Affairs, Board of Behavioral Sciences. Master of Social Work graduates must become registered as an Associate Clinical Social Workerwith the California Department of Consumer Affairs, Board of Behavioral Sciences withinsixty (60) days from commencement of employment with the County of Los Angeles. Active and valid Associate Clinical Social Worker registration must be maintained continuously until successful completion of the examination process for licensure as a Licensed Clinical Social Worker. Registered Associate Clinical Social Workers must obtain licensure within six (6) years from the original date of registration with the California Department of Consumer Affairs, Board of Behavioral Sciences. Failure to obtain licensure within the aforementioned timeframesmay result in termination. ***Stipend Status : Verification of applicant's Los Angeles County Department of Mental Health Stipend status will be verified through the school's Registrar's Office by the Recruitment/Examinations Section. CalSWEC Stipend Recipients must provide a copy of their Stipend Contracts or an official letter from their school of Social Work verifying their stipend statusat the time of filing. TRANSCRIPTS: In order to receive credit for any college coursework, or any type of college degree, such as a master degree or higher, you must provide a legible copy of the official diploma, official transcripts or official letter from the accredited* institution which shows the area of specialization, at the time of filing. **Accreditation: Accredited institutions are those listed in the publications of regional, national or international accrediting agencies which are accepted by the Department of Human Resources. Publications such as American Universities and Colleges and International Handbook of Universities are acceptable references. Also acceptable, if appropriate, are degrees that have been evaluated and deemed to be equivalent to degrees from United States accredited institutions by an academic credential evaluation agency recognized by The National Association of Credential Evaluation Services or The Association of International Credential Evaluators, Inc. (AICE). SPECIAL INFORMATION: Appointees may be requiredto work any shift, includingevenings, nights, holidays or weekends. Past andpresent mental health clients and family members are encouraged to apply. EXAMINATION INFORMATION: This examination will consist of an evaluation of training, experience and desirable qualifications based upon application information weighted 100%. Candidates must achieve a passing score of 70%or higher in order to beplaced in the eligible register. VACANCY INFORMATION: The resulting eligible register for this examination will be used to fill vacancies throughout the Department of MentalHealth. ELIGIBILITYINFORMATION: The names of candidates receiving a passing grade on the examination will be added to the eligible register and will appear in the order of their score group for a period of twelve (12) months following the date ofeligibility. All applicants are required to submit a Standard County of Los Angeles EmploymentApplication online only. Resumes cannot be accepted in lieu of applications, although resumes may be uploaded as attachments to the applications. This examination will remain open until the need of the services are met, and is subject to closure without prior notice. You MUST complete the filing process ONLINE (via electronic submission) ONLY. 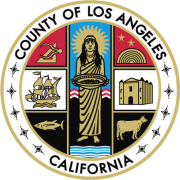 Instructions for Filing: A standard County of Los Angeles Employment Applicationfor this examination must be completed online and submitted electronically. Applications electronically received after 5:00 pm, PST on the last day of filing will not be accepted. APPLICANTS MUST COMPLETE AND SUBMIT THEIR JOB APPLICATIONS AND UPLOAD REQUIRED OR ADDITIONAL DOCUMENTS (e.g.,diploma/official transcripts, license) AS ATTACHMENT(S) AT THE TIME OF FILING. Additional documents maybe sent by emailto exams@dmh.lacounty.gov , please includeexam number and exam title in the subject line. The acceptance of your application will depend on whether you have clearly shown that you meet theMinimum Requirements. Please be sure your application indicates complete information, including dates for education and jobs held which relate to this position. For each job held, give the name and addresses of your employer, your job title, beginning and ending dates, description of work performed, total number of hours worked (full or part-time) and salary earned. Resumes showing training and experience may be attached to the Los Angeles County Application. All information and records are subject to verification. Falsification of records can result in disqualification from the examination or termination of employment.